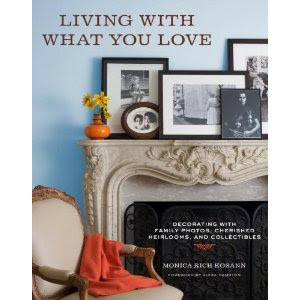 Great photography is what you want in a home decor coffee-table book and these don't disappoint at all. Have you ever agonized over how a certain item makes sense for your home? You love it but it doesn't quite go with your current set up? That's the idea behind this book. It breaks down how to display everything from family possessions to your favorite collectibles. These are the things that create special memories for yourself and your family, the author says. You just have to to do it in a smart and creative way, and this guide can show you how. 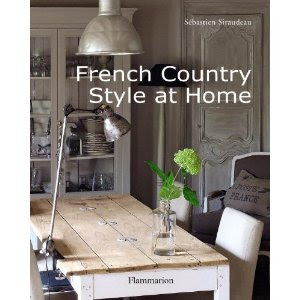 I enjoy looking at books that showcase French-inspired interiors. It's not easy working vintage finds into a space, and this guide illustrates how it's done correctly and beautifully. The photos really do make you want to book a trip to France. When a vacation isn't around the corner for you, the next best thing to do is to take in relaxing photos such as the ones featured in this new book on outdoor living. 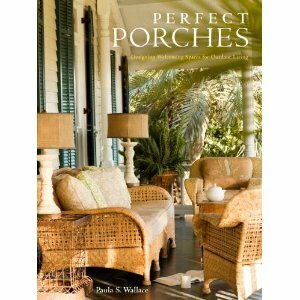 There are more than 250 stunning photos of porches ranging from a farm setting to a more urban environment. Who knew that there could be so many creative takes on porches? This is the first book for O'Brien, the brain behind the Aero design studio/store in New York City. 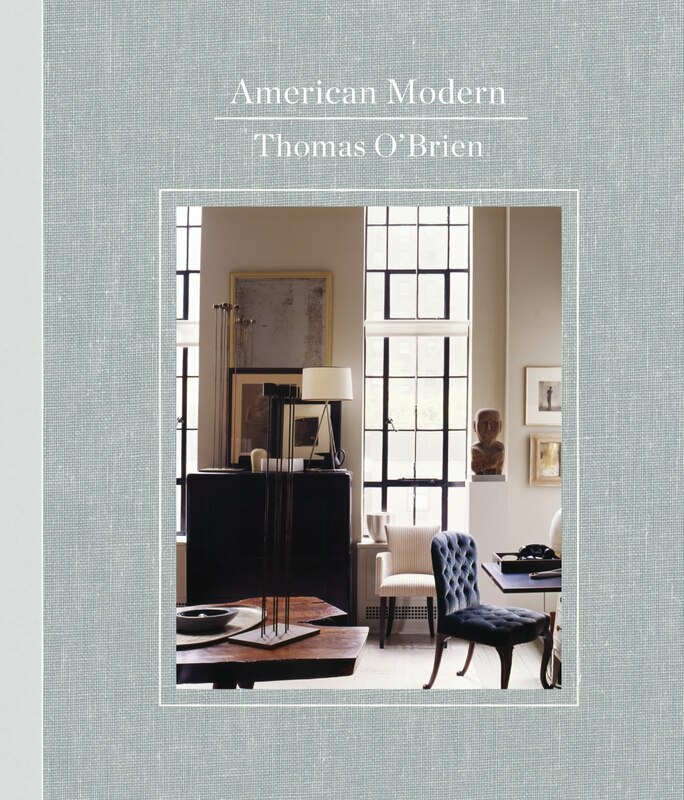 He guides you from the traditional modern style of decorating right down to his view of vintage modern. Along the way are great anecdotes of his design process on a number of different projects. The personal experiences weaved into this book make it all the more inviting. Tucker Robbins had such an interesting array of stools and coffee tables, which are all made by hand from people across the globe. And, by the way, Tucker was there himself promoting the designs. I just love these guys (see my past post on their coffee-table book here) and they had a wonderful bedroom set up at the show, along with some other great furniture. This gorgeous chandelier was used in a space designed by Eren Yorulmazer, who's from Turkey. How fabulous is that? Although most of the vendors at the show were given a small space to work with, some were able to display their products in a way that gave you a clear vision of how they can be incorporated into your own home. It made the design show more real and helped to jog your creativity, as you walked through the different spaces imagining how you might use any one product. No Rita Konig Column Today? Am I the only who's sad that Rita Konig's NewYorkTimes.com design column wasn't posted today? Tuesday's just aren't the same without having read a great post from her. 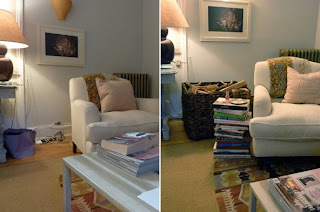 One of my recent favorites was her post on how to create a sense of depth in a space, so it feels more cozy and really lived-in. (Read it here.) One of her ideas is to try placing an item, such as a basket of logs, for instance, behind a living room sofa. I like this although, in my opinion, it wouldn't work for every home. Regardless, the point is to think more creatively about the use of space in your home and to figure out ways to make better use of it--even if it's the tiny area behind your sofa. Pink isn't at the top of my favorite colors list, but I have to say that I really like this weekend retreat from Better Homes and Gardens. Mixing the color with more neutral shades makes it work really well. 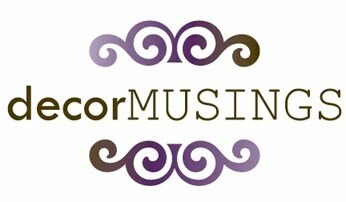 Kudos to the designer Jennifer Watty. Check out the photo slideshow here.